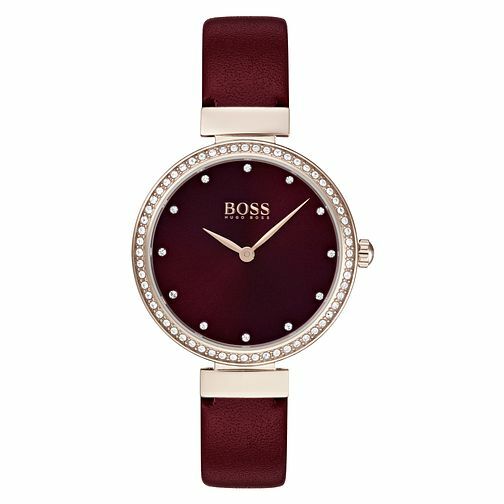 An attractive and alluring ladies' timepiece by Hugo Boss, presenting a burgundy red sunray brush dial with shimmering crystal indexes, held within a carnation gold IP case. The gold tone bezel also boasts sparkling set stones for a glamorous glisten. A slim burgundy red leather strap completes the Celebration watch, perfectly complimenting the dial tone. Effortless chic for everyday.